The sun is shining, everybody is so happy and the temperature just calls for sandals! What do you do? You drink smoothies! Or even better: you MAKE one! I had some bananas, pears, kiwis and a mango in my fruit basket and I decided to put them in my mixer. I couldn’t think of any better combo than those four because those are my favourite fruits! Besides strawberries and raspberries but how expensive are they!? Squeeze all the juice out of the oranges. Put the juice in your blender. In your blender I said! Not in your mouth, the juice is going to get even better, just be patient for god’s sake! Peal the fruits and add them to the blender. You better do this one fruit at a time to make the mixing go easier. Once the juice is completely smooth, poor it in glasses or in a bottle. If you happen to have a cute little straw, put it in your bottle or glass! It makes your smoothie feel even more like Summer! Smoooooothy… mmm it even sounds smoothy 😀 love all ingredients! Oh gosh, I have a smoothie craving coming on! 🙂 Happy FF! Sounds like a perfect smoothie!! It looks so god Sarah 🙂 You can’t go wrong with all these beautiful fruits! Thank you for sharing this recipe Sarah… Happy FF! Very happy you like it 😀 Thanks! Me too! It’s just too good to wait until Summer :p Thank you! That is one fancy straw! This smoothie would be delicious! I love that you used oranges! Mmmm…. I love all of those fruits on their own and I bet they are amazing together in this smoothie! I love smoothies, this sounds like a delicious combination, love the cute straw too! Sounds tasty! 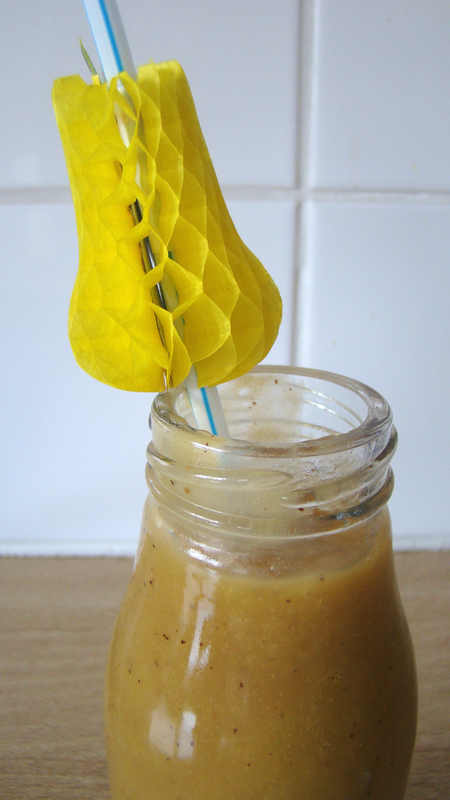 I have been getting back into making smoothies more recently, they’re so good! It’s winter where I am atm but that’s not going to stop me from trying this smoothie recipe at home!